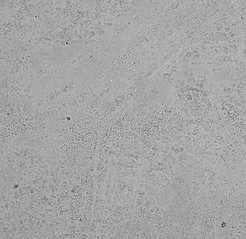 Concrete, especially precast, lends itself to a high degree of customization due to the phase-change nature of its creation, filling a specific form with a fluid material which hardens (through mineral hydration) to a durable cast stone. Color choices, edge styles, three-dimensional sculpting, and integral features such as sinks, drainboards, and decorative embedments are design options which may be incorporated. Due to its site-specific and generally handmade nature.